CHENNAI,JAN.17. - Dr.Koppikar's Foundation for Homoeopathy in conjunction with Tamilnadu Homoeopathic association hosted ICR workshop on case receiving at Nalanda ,Chennai . Dr.Anoop Nigwekar, Secretary of Dr.MLD Trust and Dr.Manoj Patel, Co-ordinator Rural Health Program conducted the one-day interactive workshop. They presented a case of obsessive compulsory disorder with Eczema. Participant Dr. Madhuvanthi Vivek says, "The work shop was an enriching experience. It was a very interactive session, calling for an active participation of the participants. Speakers guided the group well. I learnt the significance of 'case receiving', the importance of silence, during the emotional catharsis, when the patient undergoes. It also taught us about our prejudices by the example of the case presented. How we labeled the patient by different qualities and when the case was finally unveiled, it revealed a different side of the patient. It was also a good trip down the memory lane, when the references were made to subjects like Organon and Homoeopathic pharmacy. It has definitely stimulated the idea of getting back to the roots by reading Organon once again, not just for securing marks or passing percentage as done in college days but from a totally different angle. Mainly understanding in depth about how rich our science is." CHENNAI Dec. 26 - Dr.N.Subramaniun recipient of "Homoeogem "Award, Principal of Dr.Hahnemann Homoeopathy Medical College,Rasipuram ,is appointed as chairman of Board of studies for The Dr.M.G.R.Medical university Chennai. 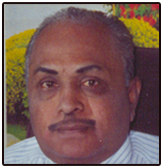 He was working as a principal of Vinnayaka Missions Homoeopathy Medical college and served as president of Tamil Nadu Homoeopathic Association . RASIPURAM, DEC .28-A free medical camp was organized by Dr.Hahnemann Homoeopathy Medical College and Research Centre at Pattanam, a village nearby Rasipuram in co ordination with Sivasakthi Vinyaka School. 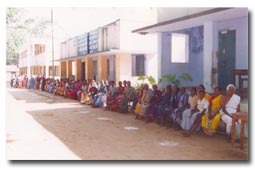 A team of physicians headed by Dr.S.Venkatesh treated and free medicines were supplied to 514 cases. Speaking on the occasion the camp officer told" Now Medicines were dispensed and distributed for fifteen days; we had directed the patients for further follow up at Mettukadu, the college campus"
New Delhi, Jan 20. - As SARS cases reappear and reseachers work overtime to contain the virus, Indians doctors say the cure could lie in ancient 'nosode therapy' and homeopathy. According to a paper published in the Indian Journal of Clinical Physiology (IJCP), SARS can be effectively cured by using an ancient 'Nosode Therapy' which uses the patient's own pooled serum. It is a type of isotherapy which involves the preparation of medicine from the patient's own blood, after diluting it. Nosode therapy is an established therapy for treatment of most of the diseases in animals. In humans, nosode can be beneficial in patients with all viral and bacterial infections, says Dr K K Aggarwal, Vice Chairman, Heart Care Foundation of India and author of the report. Says Dr R K Manchanda, deputy director, department of Indian system of medicine and homeopathy, Delhi govt, "ancient therapies like nosode and homeopathy certainly can offer a cure to diseases like SARS and bird flu. But what we need is clinical trials to prove it." While Dr Aggarwal claims in the paper that he has successfully used nosode to treat dengue, Dr Manchanda says in case of SARS and bird flu, first homeopathy and then nosode could be tried. He says a select group of doctors here has studied the disease symptomatically and shortlisted certain homeopathic drugs, which have proven efficacy in any viral disease. They could also offer a cure for SARS and bird flu. However, since there were hardly any cases of SARS in India, "we were able to conduct only symptomatic studies here," says Dr Manchanda. 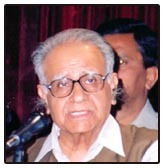 Agreeing that large scale clinical trials are needed in case of these homeopathic drugs, Dr A K Seth, Chairman, department of homeopathy, Sir Ganga Ram Hospital, says "countries where these cases are occuring should widely study homeopathy to look for a cure to SARS or bird flu." Homeopathic treatment basically relies on raising the immune system of the body. In the same way in case of SARS, it is advisable to bring out the complete picture of the disease, isolate the symptoms and then treat them. He, however, rules out nosode for treating SARS as the therapy involves bringing out the disease producing virus. But here, the scientists still cannot with surety identify the virus. So nosode may not prove effective in all cases, he says. But explaining the "effectiveness" of nosode therapy, the IJCP paper says "when a person gets infected with either a viral or bacterial illness, the body produces antibiotics. The serum from the patients containing antibodies if used to treat other patients with similar infections is an established mode of treatment in allopathy. Unfortunately, Dr Aggarwal says nosode therapy cannot be commercialised. It has to be patient specific and a doctor has to spend time in preparing a nosode for that particular individual. Nosode can be prepared from the patient's blood, saliva, tissue, infected pus, brain fluid or even joint fluid. Nosode can be prepared manually as well as using sophisticated machines. As potentisation is done in alcohol, there are less than zero per cent chances of transmitting any infection to others. However, Dr Aggarwal says "they are not making any tall claims. What we are just suggesting is that homeopathy and other ancient medicine systems could be used to find a cure for SARS. But for that the affected countries need to put in lot of research. CHENNAI.JAN.18. 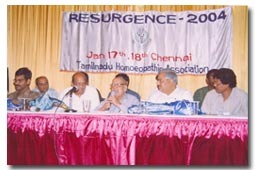 - Tamil Nadu Homoeopathic Association hosted a seminar, "Resurgence 2004" at chennai. Dr.S.P.Koppikar, President of Tamil Nadu Homoeopathy Medical Council garlanded the portrait of Dr.Samual Hahnemann.Mr V.Iraianbu, former collector of cuddalore district inaugurated the seminar. Prof. Dr.Sunil Parse focused on Irritable Bowel Syndrome, Dr.Uttareshwar Pachegaonkar chaired this afternoon session. Finally Dr.Manoj Patel had an interaction between the participants on Case taking, chaired by Dr.K.Sudalaimani . Dr.P.V.Venkatraman the President, V.Veera Balaji Kumar General secretary of Tamil Nadu Homopeopathic Association made the seminar on grand success. CALCUTTA, JAN 24. - Habibur Rahman, 23, was diagnosed with brain tumour in 1997. Since he couldnt afford the expensive surgery, which the doctors at a series of hospitals told him might not be successful, he turned to homoeopathy. Hes been off medication for the past five months, and a recent CT scan shows no tumour. Hes happy to be alive, with minimal costs and no surgery. It is cases like his that prompted a US government-run health institute to sign an MoU with a city-based homoeopathy clinic, to document case studies of homoeopathic treatments on lung cancer patients. 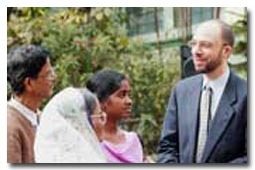 In town on Friday was oncologist Jeffrey White, director, office of Cancer Complementary and Alternative Medicine (CCAM), National Cancer Institute, of the National Institutes of Health (NIH), USA, to announce the collaborative project with the Prasanta Banerji Homoeopathic Research Foundation. Homoeopathy, by US law, is not accepted as treatment, but the successful results of numerous cases at the Elgin Road clinic has induced a probe. It all began in 1995, when Banerji was invited to speak about his treatment of brain tumour cases at an international oncological conference. There followed research at the MD Anderson Cancer Center, Texas, published last year in the International Journal of Oncology. 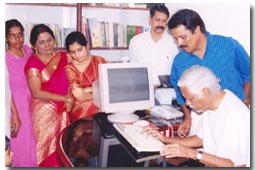 In 1996, Banerji and son Pratip paid a visit to the office of alternative medicine, at the NIH, in Maryland. After four documented case-study presentations to the Best Case Series programme at the CCAM in 1999, the institutes interest was piqued enough to choose the Banerjis for a two-and-a-half-year project. With 18,000 cancer patients on their register and about 60 added each day, the Banerjis say it is time to accept homoeopathy as a viable scientific treatment for the modern world. If the study is successful, both parties hope it will attract the attention of the medical community for further research and, possibly, clinical trials in the US. As for White, he says in the past five years, there have only been four instances of alternative cancer therapies at the CCAM worth pursuing  one dietary and two others in chemotherapy, in the US  and the Banerjis was the most interesting. received the first copy . 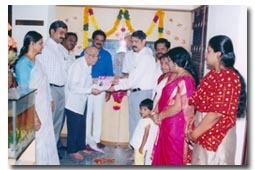 Dr.Ravindran, President, and Dr.Mathews Jo secretary of TNHA chennai chapter also honoured the function. BANGALORE, SEPT 28. - The State government is ready to give loans to the tune of Rs 25 lakh to Rs 30 lakh to anyone coming forward to start Indian systems of medicine practices in the government-run district hospitals in the State, Minister of State for Indian Systems of Medicine and Homoeopathy Nafees Fazal said here on Saturday. Ms Fazal was speaking at the 10th anniversary celebrations of the Homoeopathic Medical Association of India and a scientific discourse on Homoeopathy. Observing that Parliament too has given its approval for the various medical disciplines- Unani, Siddha, Ayurveda, Homoeopathy and Naturopathy, she said that efforts must be made to popularise them and win the confidence of public in these disciplines. Speaking on the occasion, Minister for Medical Education A B Maalaka Reddy pointed out that Centres allocation for the promotion of Homoeopathic system of medicine was a mere one per cent and called on the Homoeopathy practitioners to pressurise the Central government for more funds. Regretting that many Homoeopathic practitioners are turning to allopathy, Central Council of Homoeopathy President SPS Bhakshi said the Council would try to instill self-confidence and courage among Homoeopathic practitioners to continue their profession. Homoeopathic system of medicine offers good cure to several diseases but unfortunately it is not available in smaller towns and villages. Homoeopathy should be available to the middle class as it is relatively cheaper compared to allopathy. On the occasion, several founder members of the Karnataka chapter of the Homoeopathic Medical Association of India were also felicitated on this occasion here. Nearly 80 per cent of the countrys population lives in rural areas. Homoeopaths must try to instill confidence among the countrys population about their system of medicine. 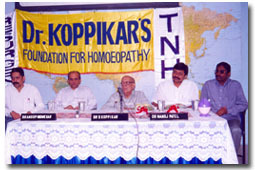 Homoeopathy is very effective system but it is being made use of fully, Mr Maalaka Raddy said on this occasion here. "Currently Homoeo Times team had decided to upload the journal every month with latest news; In future we are planning to host the directory of homoeopaths around the world and also homepages for the contemporary homoeopaths at free of cost. Readers can surf the web daily to know the current news and appointments, we are also planning to upload the events album of Homoeopathic fraternity. " SALEM, DEC.28 - Tamil Nadu Homoeopathic Association, Salem Chapter has opened a free dispensary at Mecheri, Salem District. The dispensary was inaugurated by Kamarai,MLA of Mecheri constituency and accompanied by political dignitaries S.Raju,R.Palanisamy,and Paramasivam. 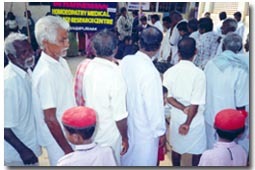 A free Medical camp was organised in conjunction with lions club of Mecheri. 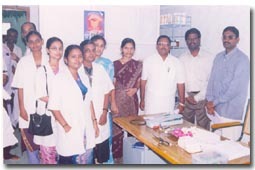 A team of Doctors headed by Dr.R.K.Jayaraman, treated 936 patients.